To keep things looking natural (even with SPF 30) under our L.A. photo studio lights, We created our most lightweight, Dewy BB yet-a water-like hydrating formula with all the complexion perfecting benefits of our cream in each drop. Explore the entire range of BB & CC Cream available on Nykaa. 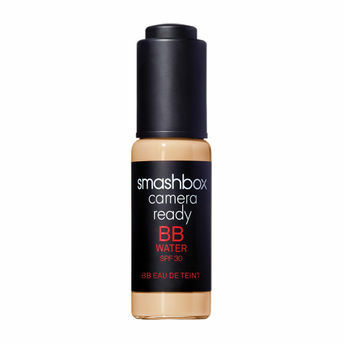 Shop more Smashbox products here.You can browse through the complete world of Smashbox BB & CC Cream .Alternatively, you can also find many more products from the Smashbox Camera Ready BB Water SPF 30 range.